Adding organic matter to your soil is the most important thing you can do when growing organically, no matter what size of patch or plot you have. It provides nutrients to feed the plants, helps retain water and makes the soil more workable. All the leftover material from your kitchen and garden can be converted into the life source for next year’s crops. Making your own organic compost is recycling at its best! The most conventional method for making compost is an open three stage bin system. The boxes don’t have to be huge - each section can be as small as 50cm x 50cm x 1m tall (in total it would be 1.5m x 50cm x 1m tall) which should fit in most small gardens. The material you use to build your compost bin from is up to you, and doesn’t have to cost a penny if you’re willing to hunt around for scrap - one person’s trash is another’s treasure after all! Most people choose wood, as it’s cheap and durable, but unlined it will rot over time. It’s a good idea to line your bins with stock-board made from recycled silage wrap as this will protect any wood from rotting out and will stand the test of time. Some people opt for chicken wire supported with stakes, or even recycled pallets to pen it all in - it all works, but the important thing is to keep the heap contained as this will make better compost fast; don’t just leave a pile in the corner of the garden. 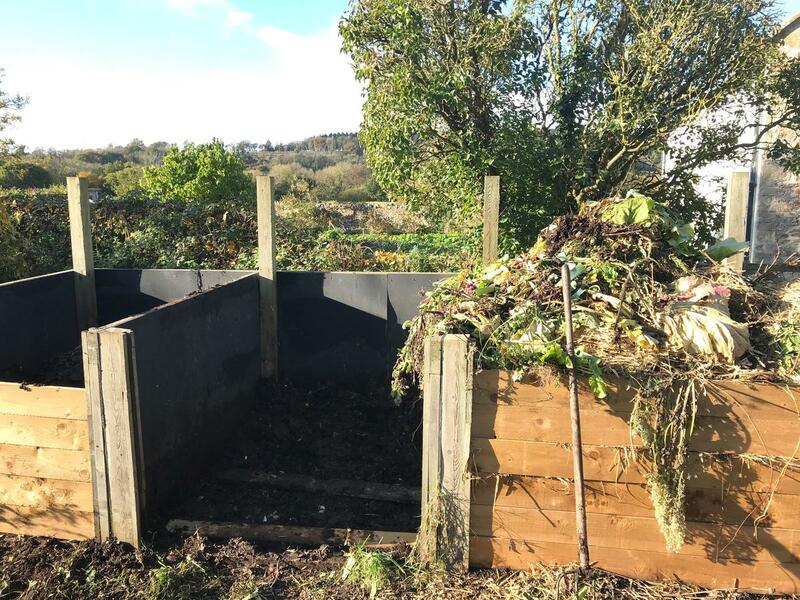 Site your compost bin away from any buildings or structures and in an area that is no good for growing, like your shadiest patch, and build your heap onto bare earth to allow worms to get in and excess water to drain away. I recommend a three-stage composting system, turning one box into the next. You can read more about how to build one and the process of 'turning' your compost, here. The turning is vital - doing this once every few months aerates the material and speeds up decomposition. The more you turn, the quicker you get that sweet smelling organic compost. For an urban garden, a barrel-sized rotary composter can be the best option. They are compact, so they fit into a smaller space and keep the material enclosed which helps with any vermin problems. 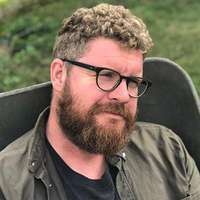 They are easier to turn than a conventional heap, which is much kinder to your back, and as you can turn the material so regularly, it is a good way to speed things up. You won’t have the benefit of worms, but the micro-organisms and fungi work to break down the material for you. If managed correctly, you can have usable compost in 2-4 months. 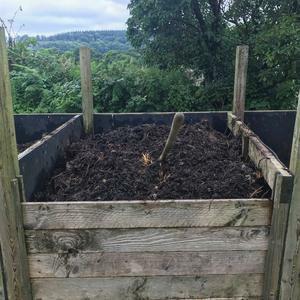 There are other small composting units available, but without the rotary element they fill up too quickly and don’t compost well. Whichever method you choose the process is still the same. It is important to add a variety of organic plant material when making compost: mixing greens (nitrogen) like veg peelings, grass clippings and annual weeds with browns (carbon) like dead leaves, shredded wood, tea bags (make sure they are plastic and bleach free) and coffee grounds. Egg shells are also fine to add, just make sure they are crushed up. Add in other any organic waste from the garden and kitchen and you’ll have a rounded, nutrient-varied compost. Leave out cooked food, meat and dairy to avoid attracting rats and chop up very woody material with a shredder or secateurs to further speed up the process. Putting too much of one thing can slow things down, so if you can add this bit by bit, it will help the heap to decompose fast. Avoid putting perennial or pernicious weeds in as if they’re not properly composted, they can re-grow once you have used the compost in the garden. Good compost shouldn’t be wet. Covering an open heap in the winter will keep the moisture consistent and it’s worth adding some water when it’s hot and dry. The finished compost benefits from being sifted through, as there are bound to be twigs that haven’t fully broken down. I advise supplementing your homemade compost with some additional organic matter. It is still surprising to me that after putting so much in you get so little out! You can purchase organic compost from the garden centre, but if you have space, adding some bags of manure to your heap will bulk it out. If you have a larger garden and are in need of large amounts of compost then you can purchase this from a waste management company. Ask for “community green waste compost”. Finished compost is black and crumbly and should smell earthy not rotten. Avoid using homemade compost for seed sowing as it can contain some weed seed, and is often not a fine enough consistency. Use organic seed sowing compost instead. 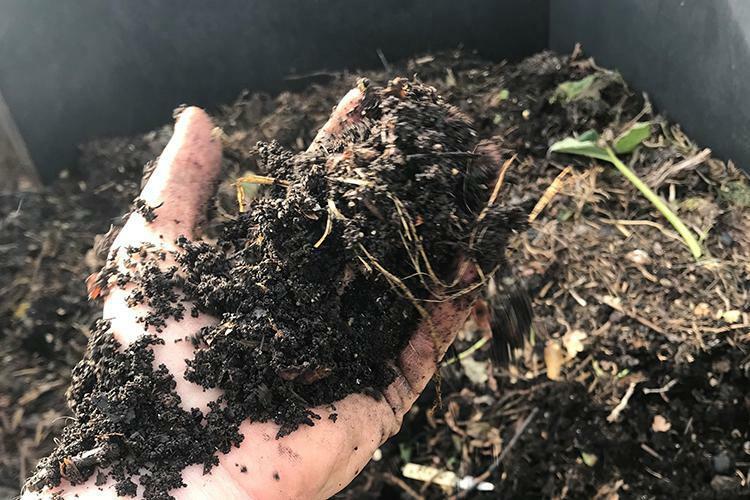 Making homemade compost not only saves you money but also provides a greater range of nutrients for your soil, providing the organic veggies you grow with all the good stuff they need to thrive. You’ll be glad you made the effort when it comes to harvesting all your delicious organic produce.